Let Edward protect your luggage wherever you travel! This coordinated set includes a 4″ padded vinyl luggage tag plus a small lock with two keys for extra security. 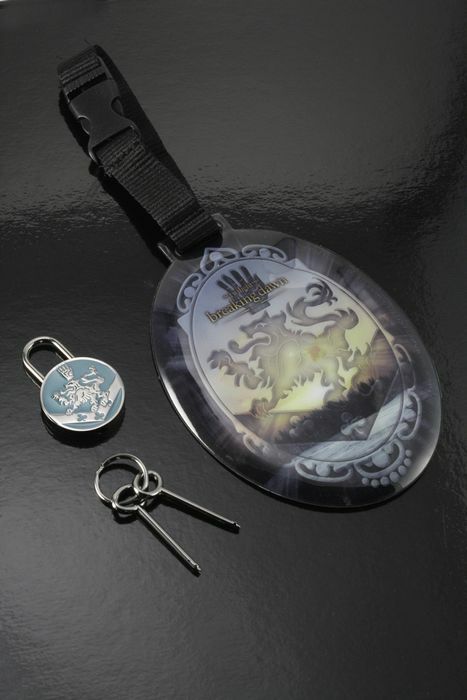 The luggage tag features the Cullen Crest on the front, and a slot for your name and address on the back. The solid metal lock is enameled with the Cullen crest.